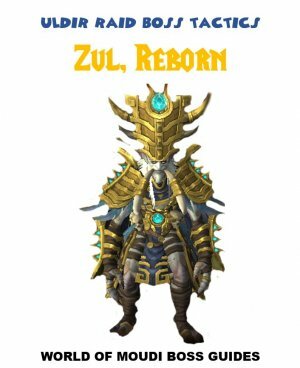 The plague of corrupted blood killed countless trolls and began one of the most terrifying periods in Zandalar's history. 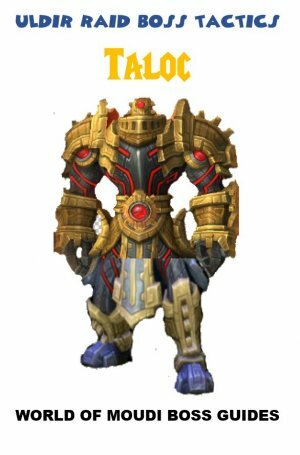 The constructs within Uldir studied the disease in search of a cure, but found that only isolation and extermination was effective. 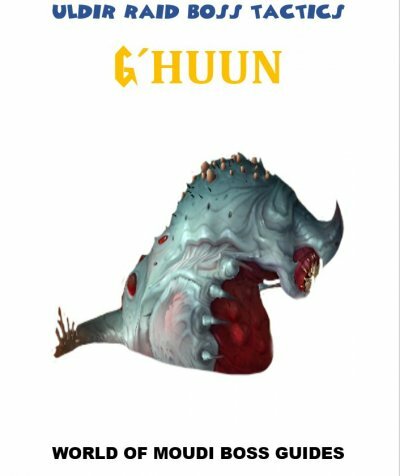 Unfortunately, as the facility's safeguards cracked apart, the plague was accidentally combined with a sample of G'huun's blood, creating a new entity that hungered for fresh victims. This encounter have 2 phases (debuff phase and dodge/soak phase) that loops. 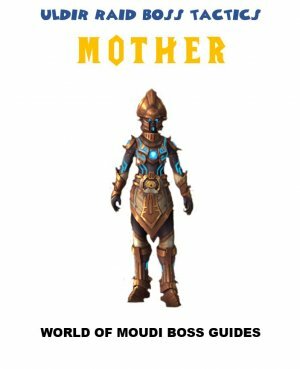 You will attack boss and master debuffs and infections. Boss does random debuff on non-tank players (omega vector) that does dmg and leaves an infection (5% increased dmg taken from Nature dmg) then jumps to closest player when expired. Boss targets random player with debuff that does aoe dmg to nearby players and stuns targeted player that also spawns an add. Player must run away form raid. 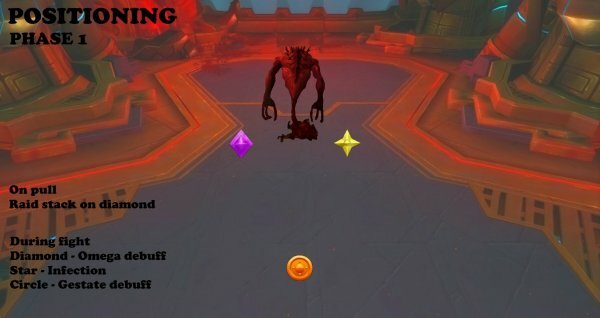 Add must be tanked and killed asap because it puts healing absorb on raid. On main tank that does nature dmg over 12 sec. Tanks must tank swap at 4 stacks. You will cannot attack boss because it turns into a blood pool and travels around the room. 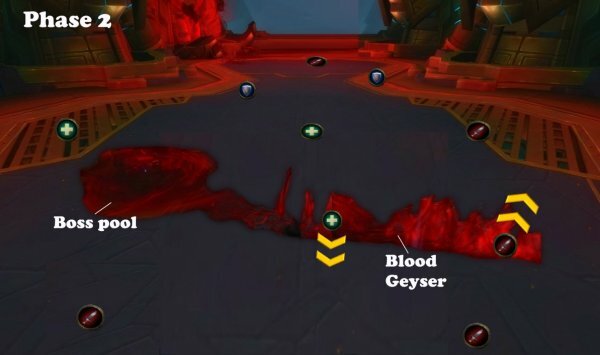 The blood pool will shoot out lines of blood that does dmg. This phase will also have bombs that detonate after 8 sec. If not soaked, it will spawn same add as phase 1. When soaked, it does shadow dmg (not nature). One on each side behind boss. One further back behind boss. Raid on left side behind boss. Spread out evenly over the platform. Have players that can move fast to soak. During the entire fight, the boss will create Omega Vectors on random player. In the beginning of the encounter, the boss creates multiple Omega vectors. Omega vector is a debuff that does Shadow dmg every 2 sec for 10 sec. When debuff expires, Omega Vector will jump to the closest player and does the same thing. The player that had the Omega Vector debuff gets an infection: Lingering Infection. This infection increases nature dmg taken by 5%. Lingering Infection comes also on phase 2. It´s all about positioning of players to master the Omega Vector and the infection. Raid stack on left side behind boss. 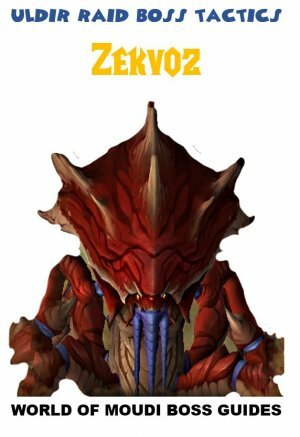 Have player(s) that can handle many stacks of infection on the left side constantly. Make sure more than 2 players are on left side constantly. 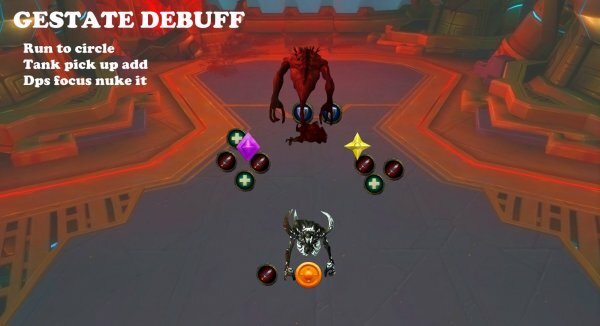 Boss will put affliction debuff on main tank every 9 sec. 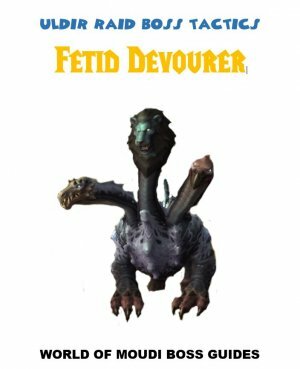 This debuff lasts for 12 sec and does Nature damage every 2 sec. Boss will occasionally do Nature damage to all players. During mid fight, this damage is becoming higher since players will have higher stacks on lingering infection. Have good rotations on major raid healing cooldowns. 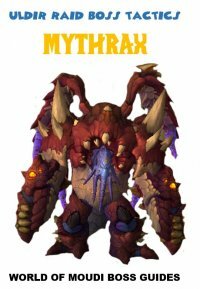 Raid should use defensives when having higher stacks on Lingering debuff when boss does Contagion. Boss puts a debuff on a random player. This debuff does shadow dmg every 1 for 5 sec. Players within 5 yards will get dmg as well. When debuff expires, player is stunned and an add (Plague Amalgam) spawns 5 yards from that player. Amalgam add casts Immunosuppression that absorbs healing done to all players within 500 yards. Run fast to marker further back behind boss (circle). Healers beware of inc dmg on that player. Pick up the add when it spawns and tank it on boss. Beware not to be near raid members so your don’t get the omega debuff. FOCUS NUKE the Amalgam add. This add cannot be interrupted or any cc. Nuke it down before it casts to many Immunosuppression. At phase 2, Boss turns into a blood pool and moves around the room. 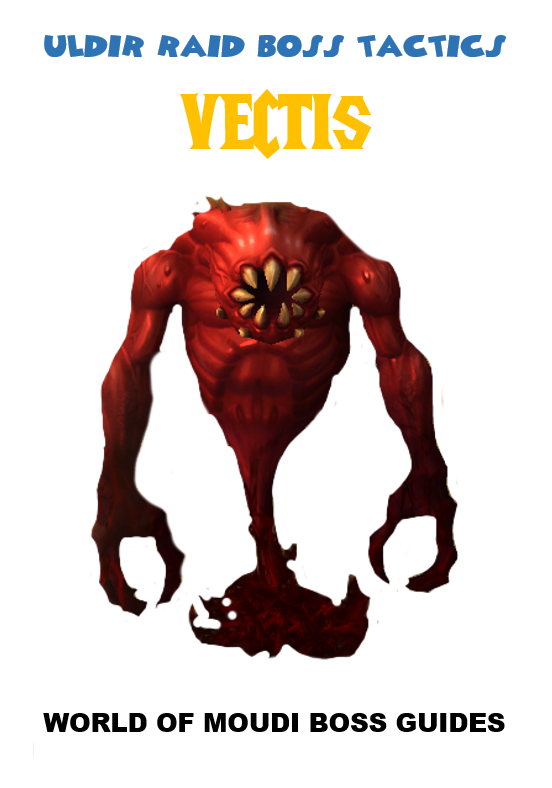 Boss transforms into a blood pool and moves around in the room (Liquefy). Players that touch the pool gets the Lingering infection. Boss shoots out several lines of Blood geysers. This does shadow damage and gives Lingering infection. Plague Bombs will spawn randomly on the platform. After 8 sec, it explodes and does Shadow dmg and a shadow dmg debuff (dmg every 5 sec for 8 sec) to players within 6 yards. 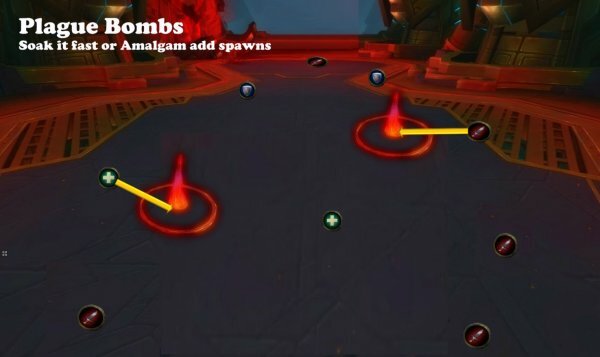 If no player is hit by the bomb (soaking it), it becomes an Amalgam add. Spread out over the entire room. Dodge the big boss pool when it moves around. Dodge the lines of Blood Geysers that boss shoots. Make sure you soak the bomb when it spawns. One player only. Have selected players that can move fast for the soaking. Beware – There might still be an add left from phase 1. Kill it asap.